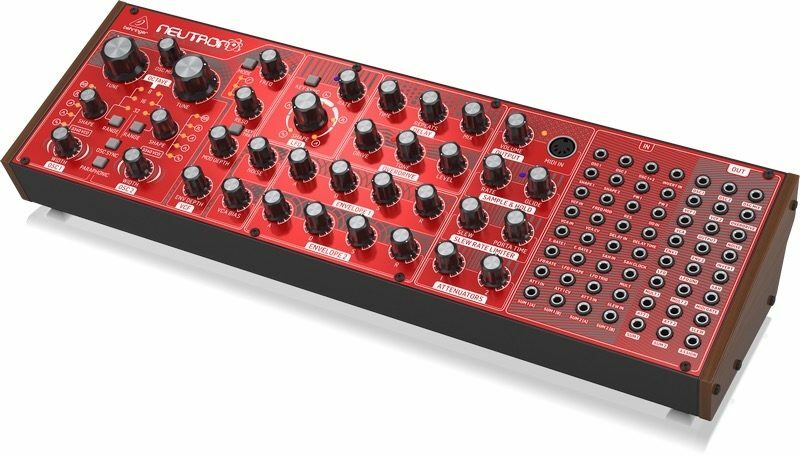 "Synthetic Neutrons in The Second Renaissance"
Overall: I've had the Neutron for a month now and my enthusiasm for using this synth has not waned in the slightest. This rarely happens to me. It's not even my first semi-modular or modular synth! Behringer absolutely nailed it here. The recreated high-quality 3340 oscillators, the deep growl of the multi-mode Mofatt filter, a digital LFO with an incredibly wide range (barely moving to light speed fast), 2 ADSR, Utilities, analog overdrive, BBD delay, and a huge patchbay! The hype is real folks. It's great for synthesists looking to explore eurorack AND modular aficionados. I have mine sitting in a Rackbrute and the Neutron immediately invited my other eurorack modules in for the Neutron Dance! The 1 negative thing I can say is that the analog delay repeats can bleed through when the signal is "100%" dry. It's almost imperceptible but maybe a firmware update could somehow fix that. However, turning Time & Repeats all the way down gets rid of the bleed completely. Other than that, the delay is a lot of fun. Speaking of FX, the Overdrive is a great feature for getting an acid squeal. The Tone control is helpful for taking off some bass (Or adding it) but careful! The Neutron is very bass heavy. Watch those audio levels.By itself, the Neutron has a wide sound variety but it excels at bass and aggression very easily so it might not be to everyone's taste but it definitely sounds good. The patch bay has great options for patching: osc. wave shape modulation, 2 vcf outs, LFO wave/speed modulation & trigger, delay time modulation, slew, mult, 2 sums, 2 attenuators, S&H, unipolar LFO out, invert, and much more i/o. We are in the 2nd age of analog synthesis and it is good. With the release of the Neutron, the bar has raised for affordable, quality synthesizers. 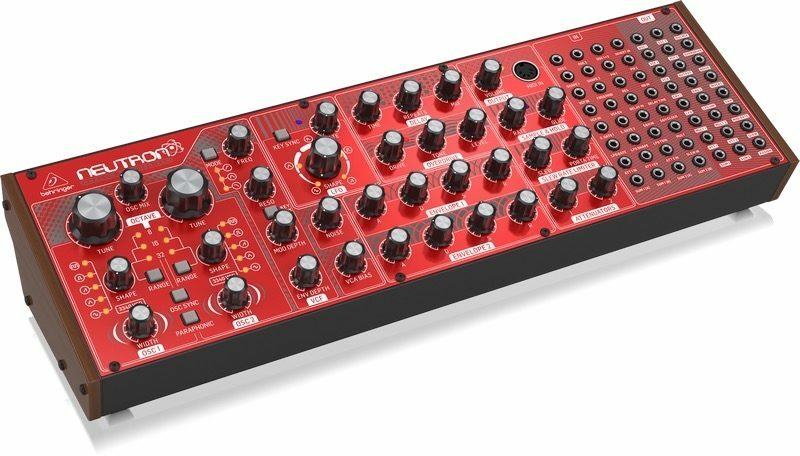 Other synth manufacturers should take note: the game has changed and the ball is now in Behringer's possession. Overall: Honestly. Everything about the synthesizer is amazing. The build quality is totally awesome. The originality of the sound you can create and ability to manipulate it is just amazing. Then you look at that price tag and it's like are you serious only $300. Behringer totally gets it. In a world weary software synthesizers are very cheap and near Limitless. How can Hardware since be so much money? These people understand that and are putting out some top quality products for cheap. Everyone should have one of these.